Sending someone a homemade card is a thoughtful gesture that shows just how much you care. Even if you're new to card making, you can quickly learn to create beautiful cards that rival any you can buy in the store. Card making is an incredibly useful and enjoyable hobby that can provide you with unlimited hours of entertainment. From simple cards to intricate designs, take a look at some of the basics to see what's in store. Templates are like blueprints or patterns for card making, and working with them can be an excellent way for beginners to learn this craft. Even experienced card makers use templates for more complicated designs. Once you begin browsing through the thousands and thousands of supplies used in making cards, you'll find out why this hobby can be so addictive. A single dragonfly-shaped eyelet can become the entire inspiration for a spring greeting, and metal charms can add dimensional character to any card. 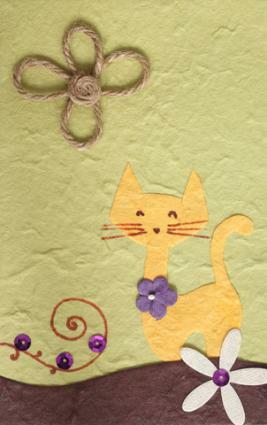 Different types of paper, from cardstock to tissue to layered prints, can be combined to make one-of-a-kind creations. Once you have the materials you need, it's time to get to work. You can make cards just as you need them, but why not work ahead so you have cards on hand? Set up a file box, and organize your cards by occasions. 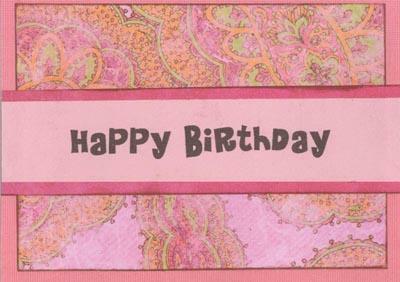 Birthday cards - Keep cards on hand to send birthday greetings to family members, friends and coworkers. Holiday cards - A single handmade Christmas card is much more personal than a store-bought cards. The same goes for Valentines and Thanksgiving cards. Start working ahead so you have enough holiday greetings for everyone who is important to you. Sympathy cards - It's especially good to have a few of these cards ready because you never know when you're going to need them. Once you begin making cards, you'll see why it's just about impossible to run out of inspiration to make more. Think of this hobby as scrapbooking on a smaller scale, with or without photos, and there's really no limit to what you can do.